The Sanctum is a luxurious, self-sustaining survival condominium situated underground in rural Maine. It's a plush bolt-hole for the rich and paranoid—a place where they can wait out the apocalypse in style. When a devastating super-flu virus hits the States, several families race to reach it. All have their own motivations for entering The Sanctum. All are hiding secrets. In this day and age, grave danger is everywhere. Quite aside from the exponential toll of terrorism, there's environmental catastrophe to consider, and so many potential vectors of deadly infection that just counting them could kill you—never mind the nukes pointed at every major population centre on the planet. That the world will end—and sooner rather than later, some say—is as good as a given. Something's got to give, and when it does, you and your loved ones will want somewhere safe to stay. Somewhere completely sealed against sickness; somewhere with such state-of-the-art security that not even a mouse could get into your house; somewhere so darned deep underground that surviving the bombs that are sure to start dropping is guaranteed to be a breeze. The Sanctum is that somewhere. A stylish, self-sustaining survival condo built hundreds of metres below the bedrock of the great state of Maine, The Sanctum comes complete with a swimming pool, gym facilities, its own medical suite, an elevator, high bandwidth wi-fi, biometric locks, motion sensors and a Grow Your Own garden. In short, it's sure to ensure "pure peace of mind" (p.10) even as the world beyond its barbed-wire bounds goes to hell in a handbasket. Promises, unfortunately, are only as strong as the person who makes them, and Greg, the mind behind The Sanctum, may have cut a couple of corners in the course of its construction. Precious few of the mod cons he pitched to the five families who bought into the prospective project are fully functional, and an array of them aren't even there: the elevator is an empty shaft, for example, and the medical suite is a metal bed with a nearby supply of band-aids. But when the apocalypse appears, better, by all accounts, to take some semblance of shelter than none. Least... you'd think that, wouldn't you? You'd have every reason to. As it happens, however, survival in The Sanctum isn't such a sure thing. Whether by misadventure or something more sinister, as some in said safehouse suspect, Greg turns up dead within days of the promised plague. Without him, the five families—in addition to Will, a kind-hearted contractor stuck on site when the spread of a serious superflu leads to a lockdown—the five families and Will, who takes Greg's place as leader of this unruly lot, find themselves... well, fucked, pretty much. The important thing, they think, is that "they won't be deprived of antipasto while the rest of the population's innards turn to soup," (p.32) but when the situation on the surface that led them all to prep for The End is summarily solved, and they realise they still can't leave, The Sanctum's mega-rich residents start to see the supplies they thought to stock for the foolhardy extravagances they were from word one. Who indeed needs a crate of Cristal when you don't have enough water to wash with? It's unlikely, in any event, that they'll live long enough to die of dehydration, because as safe as The Sanctum may be from external threats, there's a murderer in their midst... not to mention a group of gun nuts, some racists, a sexual predator, a few prepared to take their faith too far, and—horror of horrors!—a kid who plays violent video games. 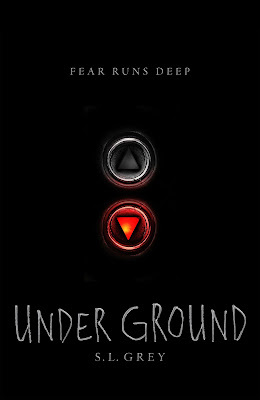 In that sense, Underground represents a coalescing of the subjects S. L. Grey explored in the Downside cycle. Whereas The Mall, The Ward and The New Girl were relatively single-minded in their satire, everything is a potential target in this insidious subterranean standalone, including the magnified aspects of modern madness Sarah Lotz and Louis Greenberg have targeted in the past. The more diverse focus leads to Underground feeling frenetic, and full of possibility, at points... though these embiggened ambitions also backfire a bit, in that the aforementioned authors aren't able to skewer any single subject with the sheer sharpness they've shown before. Meanwhile, though most of the arrows they fire find their marks, the majority of these marks have already been made, and if I may mix my metaphors, I'd really rather Grey broke new ground than touched up a perfectly sound structure. Fortunately, Underground goes its own Grey way in terms of its substantially larger cast—the Guthries and the Parks in particular make for powerful opposing forces—and the simple fact that there's nothing fantastical about the narrative. Never mind the monsters you might find Downside: the only evil here is the evil men, women and children do to one another, which makes the human horror are the heart of the novel that much harder to handle. I don't mind admitting that there were moments when I came close to putting Underground down in a flounce of frustration—infuriation, in fact, at the acts of my fellow man, rather than any error by either author. This, thus, is an incredibly tense text. Grey does a great job of sustaining that singularly unsettling sense that something awful is going to go wrong—and I dare say something is always going to go awfully wrong in The Sanctum. The guessing game we're left to play whilst waiting for the next nightmare to awaken is wondering why, and here, too, the authors equip themselves excellently. There's a fine line between ambiguity and obvious obfuscation, but it's one Grey walks with confidence. That signature swagger isn't in evidence in the left-of-field finale—the ending, in other words, is far from satisfying—but Underground is a journey worth taking despite the dubious destination. The high concept is immediately appealing; the tale itself intense; the characters are largely well-handled; and the satire is sound, if not as keen as it's been. 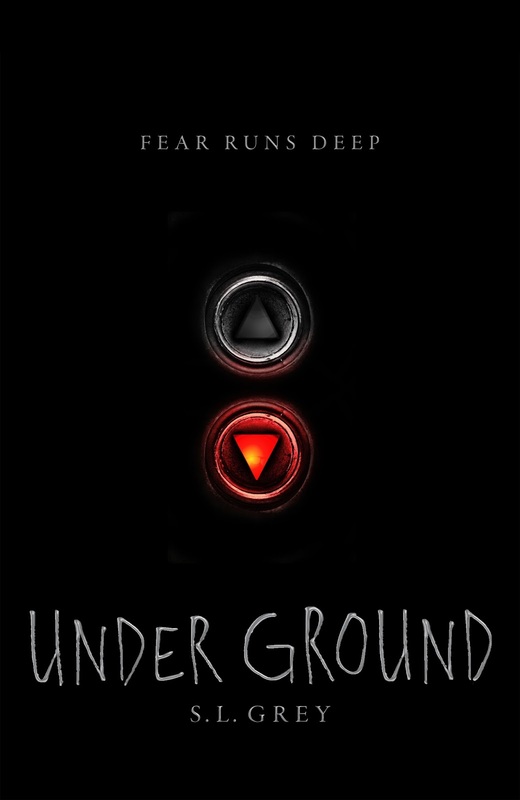 Readers of the Downside series are likely to be less surprised by said than some, but Underground is a brilliant jumping-on point for horror fans who haven't already gone Grey.